Sherwin-Williams 2018 color of the year—Oceanside—promises to continue its reign this wedding season, so why not gift the groom something that plays to the popular color? Here are some of our favorite gift ideas that incorporate Oceanside and copper tones that will be sure to please any turquoise-loving grooms and groomsmen. “Sparkler Medallions” pocket square in Teal, $10 at the Tie Bar, thetiebar.com. 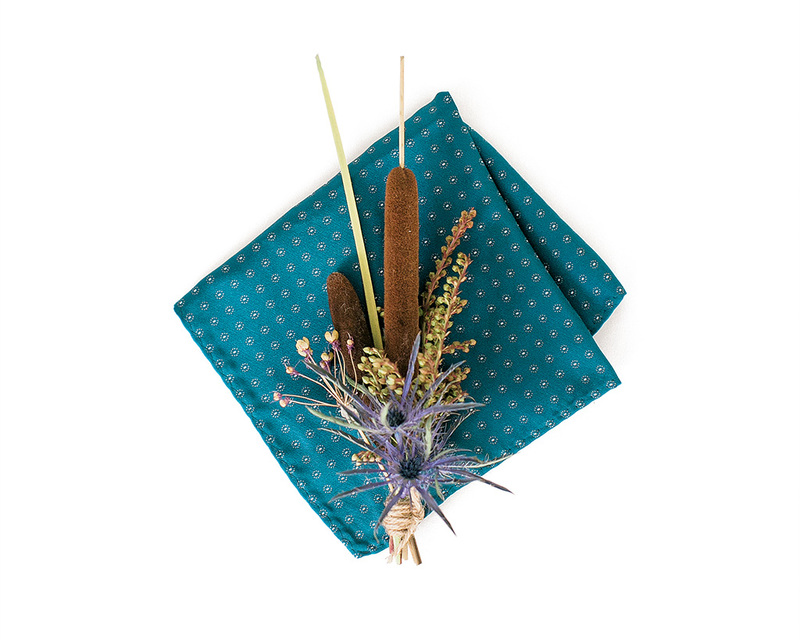 Boutonniere of blue thistle, cattail, pieris, and dried dill by Rocking Bird Flower Co., rockingbirdflower.com. 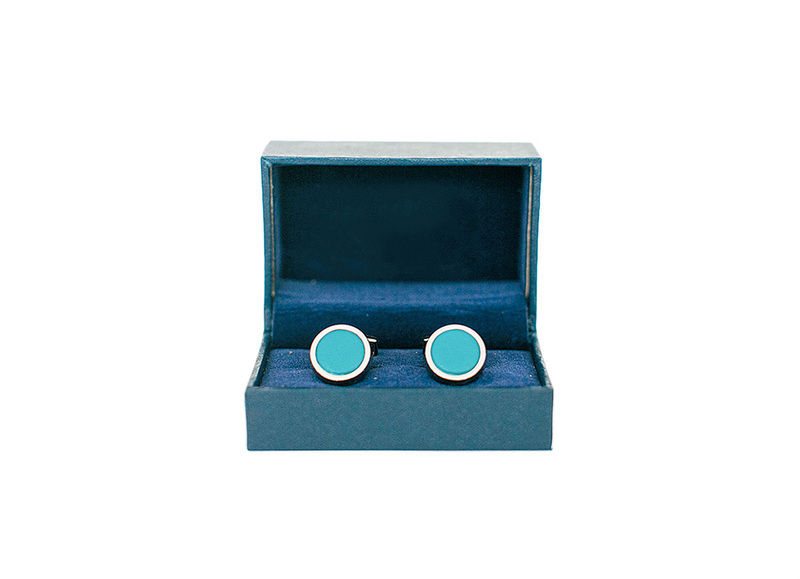 Ettinger sterling round cuff links in turquoise, $90 at Trunk & Drawer, trunkanddrawer.com. 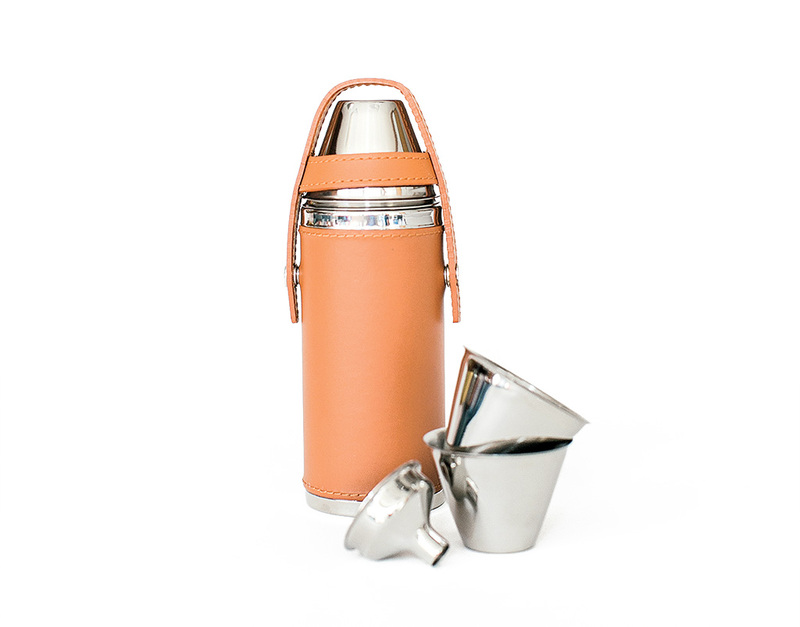 Ettinger tan leather hunter’s flask with four cups, $165 at Trunk & Drawer, trunkanddrawer.com. 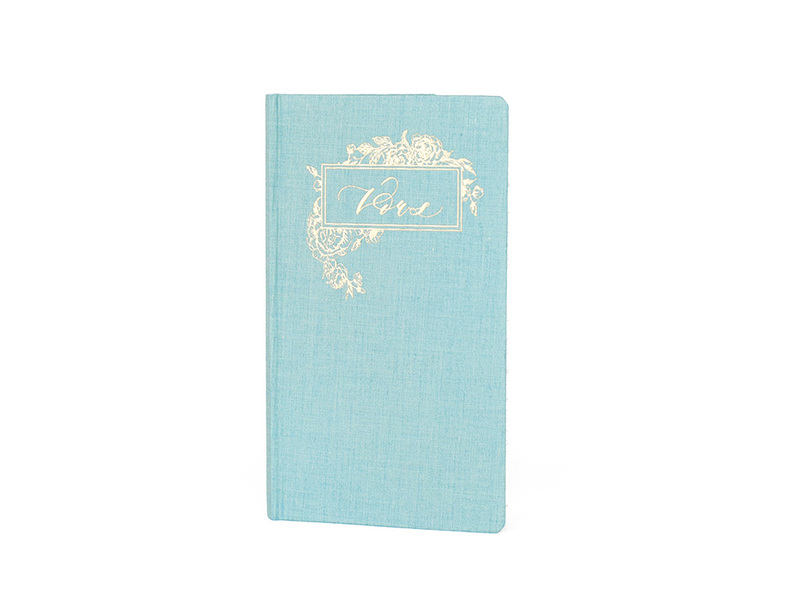 Seniman Calligraphy linen vow book in Ocean, $40 for a set of two at etsy.com. 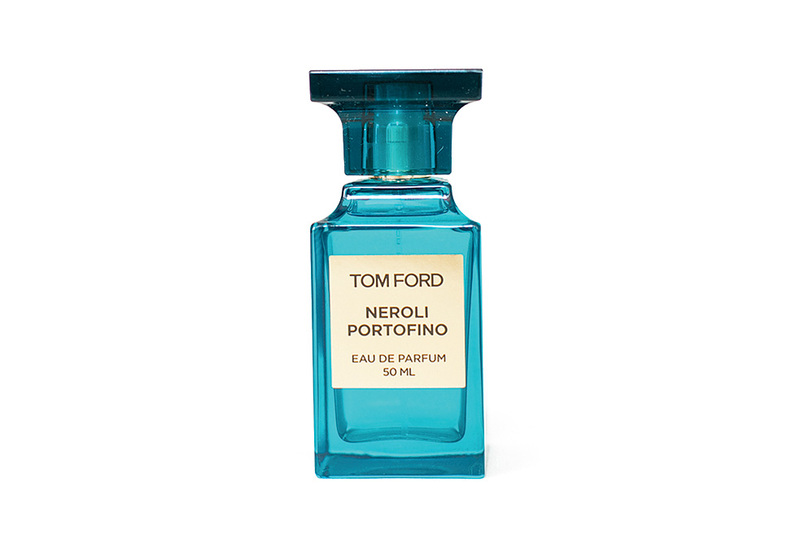 Tom Ford “Neroli Portofino” eau de parfum, $235 for 1.7 ounces at sephora.com. A version of this article appears in the Winter/Spring 2019 issue of Washingtonian Weddings.